Many homes in rural areas or outside of city limits dispose of their waste via septic tanks. These devices are large tanks that are buried underground somewhere on the home’s property—typically in the backyard or on one side of the home—and they’re connected to all the home’s outgoing pipes. When wastewater enters a septic tank, the waste products and water are separated. The waste enters the tank itself, while the water is released into drain field pipes and is fed into nearby soil. Unlike sewer lines, which are maintained by local governments, septic tanks are the sole responsibility of the homeowner. Because a septic tank is self-contained device that doesn’t need to be serviced by your local government, you won’t owe any additional fees per month for its usage like you would if your home was hooked up to a municipal sewer line. Most septic tanks are self-sustaining as well, which means you don’t have to spend much—or any—money each month to keep it operating at optimal conditions. However, you may need to have it pumped on occasion, so be sure to factor that expense into your budget. Septic tanks break down waste products via their own bacterial eco-systems. A well-maintained and well-balanced septic tank requires no electricity or additional steps to treat waste materials and wastewater. While sewers can seem more convenient, wastewater must be processed in large processing plants, which can utilize huge amounts of electricity and natural resources. Having a safe and reliable method for eliminating waste and wastewater is one of modern society’s greatest conveniences. When your home is hooked up to a sewer line, the only thing you must worry about are the pipes on your own property. Beyond that, it’s up to your local government. But with a septic tank, you’re responsible if anything goes wrong—and that level of worry drives many homeowners to sewer service. 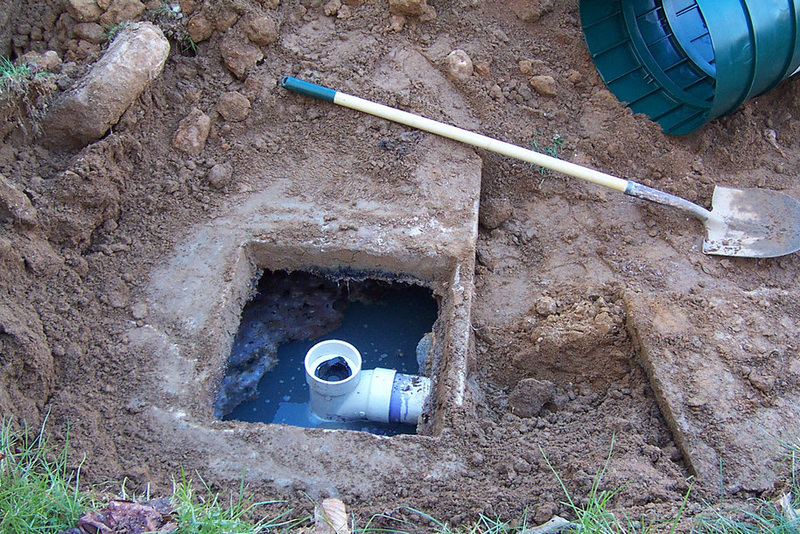 Questions about Sewer Lines or Septic Tanks? Call Houston’s Choice for Plumbing Experts. Whether you decide to use a septic tank or hook your home up to a municipal sewer line, it’s important that you’re prepared in the event of an emergency and that you have someone you can trust to handle routine plumbing tasks. At Aqueduct Plumbing Company, we’re here to help with all your plumbing needs. Contact us today at (281) 488-6238 to request a free quote or to schedule an appointment.